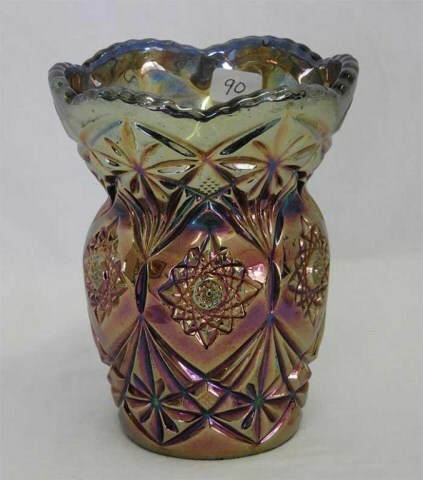 These 7 to 8 inch tall vases are shown in eight different vase shapes in a Riihimaki catalog. 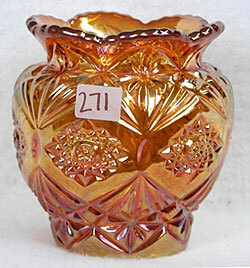 Rare amethyst examples are known. 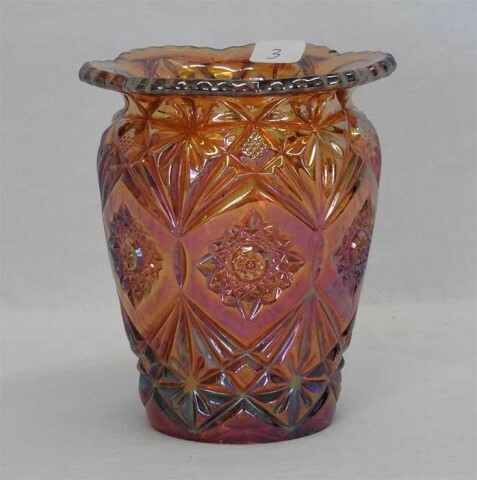 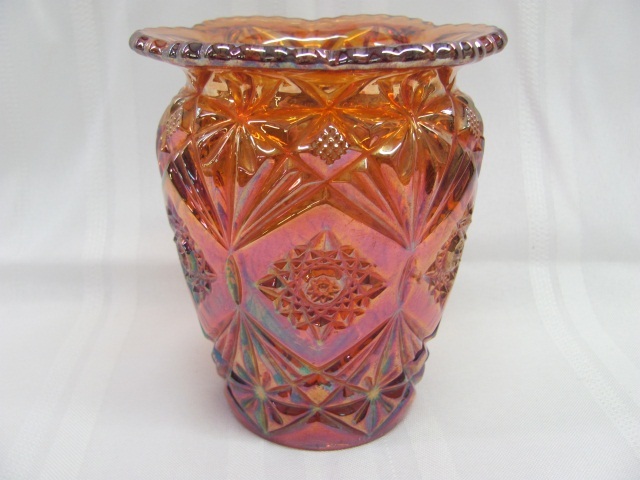 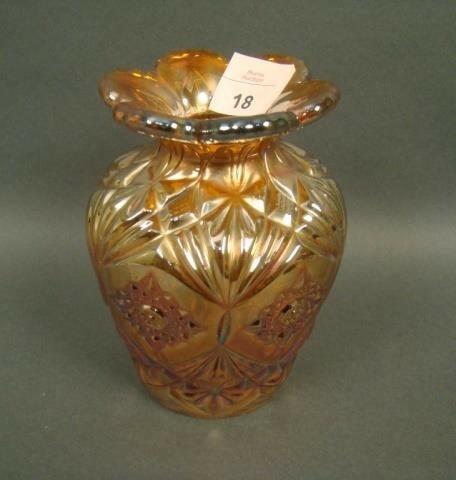 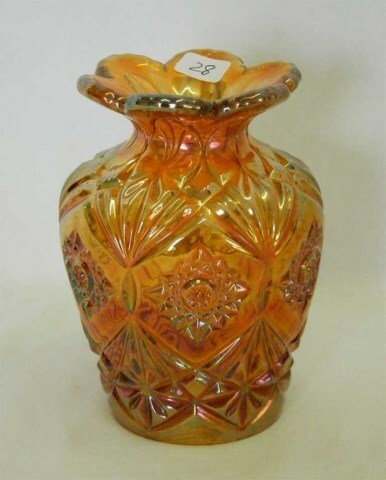 The above 5-inch vase in marigold sold in 2009 for $275. 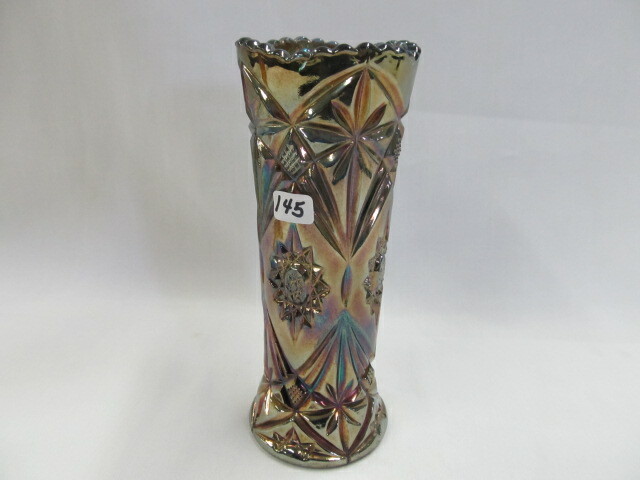 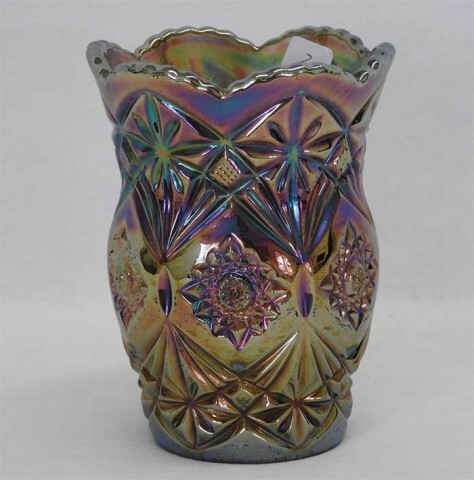 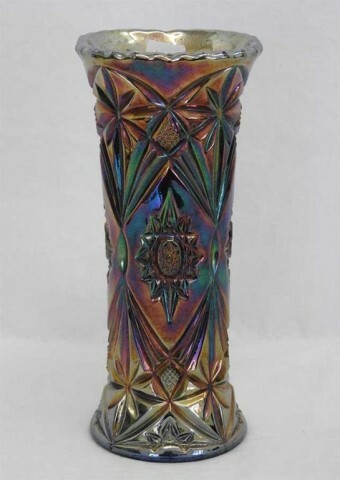 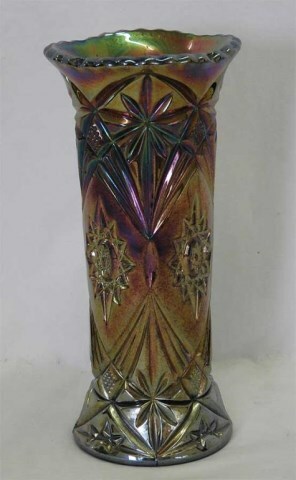 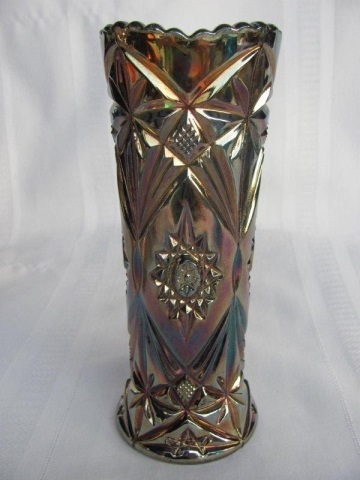 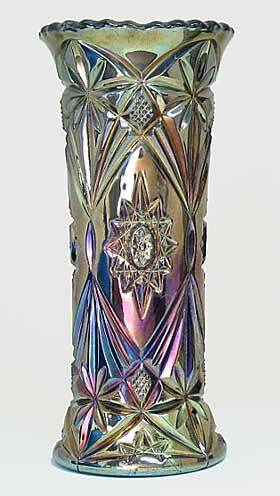 A similar example but without the pinched-in spittoon effect sold for $210 at the same auction.